At CarMark Hawaii, we know there are lots of Volkswagen Beetle fans around the world – but would you pay more than $1 million for a Beetle with absolutely zero bells and whistles? One dealer in Germany, where the VW originated, obviously thinks so. According to an article at Autoblog, this Beetle was one of the last made in Mexico before production ceased in 2003. While it is extremely low mileage with only 75 miles on the odometer, the price seems a little steep. But, it IS an original Beetle that’s reportedly in factory-fresh condition, so perhaps a wealthy Beetle fanatic will shell out the $1.1 million the dealer is asking for. The “bug” is decked out with a black fabric interior, with a beige color that’s fresh – and it likely gets great gas mileage. Any takers? Some people do have more money than they know what to do with, so perhaps the dealer will get its asking price. At CarMark Hawaii, we’re always interested in the latest auto industry news, even at times when the news is a little odd. If you’re looking to sell your used car for cash, we’re ready to buy! 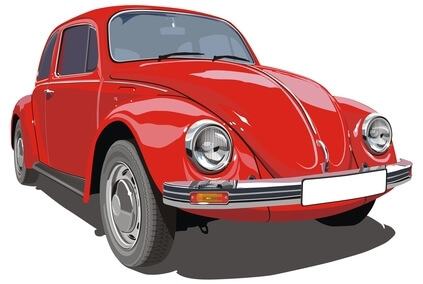 It’s doubtful that we would pay $1 million for a Beetle, but we do give our customers a fair deal. Whether you’re moving from the Honolulu area, being relocated in the military, or simply would rather have cash for a vehicle you don’t need or use, we buy used cars in Honolulu whether you have a Volkswagen, Dodge, Ford, Chevy, Toyota, or any other brand. Fill out our online appraisal form today, or give us a call!